In their latest podcast, GIFT Coaches Susan David and Joann DiStefano offer tips on how to Adoption-attune your relationships with your child aged zero to seven. Three additional episodes will follow: Adoptees and the Middle School Years; Supporting Your Adopted Teen; No Longer a Child--Parent Relationships with the Adult Adoptee. Be sure to listen to the subsequent broadcasts as well. You’ll be glad that you did. 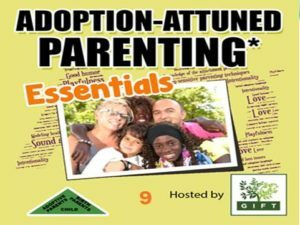 Adoptive parenting demands intense energy, patience, focus and Adoption-attunement* that sensitizes and alerts us to the unique needs of the entire family. Being a successful parent begins with an honest self-appraisal of the skills which we execute well and those which require additional time and attention. Some skill sets might only need tweaking while others may demand a complete reset of our parenting paradigm. 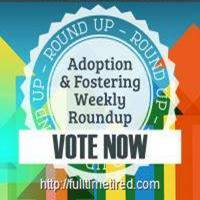 We awaken to the idea that adoptive parenting is different from parenting non-adopted children. We recognize that the methods we use to educate, inculcate values and teach discipline must always be selected through the lens of relationship building. We choose to be Intentional, to abandon autopilot parenting and instead commit to Adoption-attunement. At first this may sound like a huge mountain to climb. In reality, it is simply parenting from another angle with a fresh blueprint. For example, in the early years of childhood from the years zero to seven, this means using “Time In” instead of “Time Out.” Listen to the entire podcast for many additional ideas of how to parent through an Adoption-attuned lens. Be brave enough to honestly assess your strengths as well as your greatest opportunities for improving skill sets. At this age children attend more to the examples which we model than to the words which we utter. Be intentional about how you relate with your kids. Keep in mind one question: Does this build connection with my child? 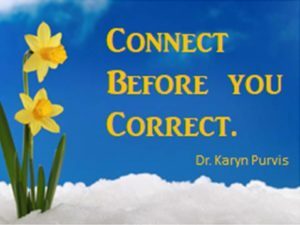 As Dr. Karyn Purvis asserted: "Connect before you correct." Relationship is the conduit to connection, attachment, family identity and attachment. It outstrips intimidation and yelling which instill fear and destroy relationships. Fear-based parenting elicits compliance in the moment not commitment. When we do fall short of our lofty goal, Intentional Parents are quick to repair the relationship. This has a triple benefit: it shows children how to make amends, it demonstrates mutual respect and, it resists perfectionism. Parents and adoptees often incline to perfectionism—parents because they may feel the need to prove that they “deserve" to parent their child. Adoptees may fear a repeat of the biological parent’s “abandonment—so the ability to admit mistakes and make amends is a much-needed skill for all. Mastery comes through practice and life tends to serve up lots of chances to miss the pitch. It’s important that we show kids that we will take a shot at bat, again and again and again. Susan and Joann have packed a lot of practical information into their thirty minute podcast. Tune in and check it out. Listen to the archived podcasts on our website. 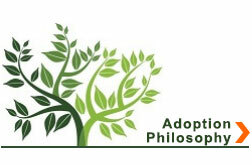 Episodes are brief and steeped in Adoption-attuned Parenting* concepts as well as Coaching Presuppositions. These strategies will help you build a strong family. Understanding the unique needs of our families enables us to parent smarter and more effectively.